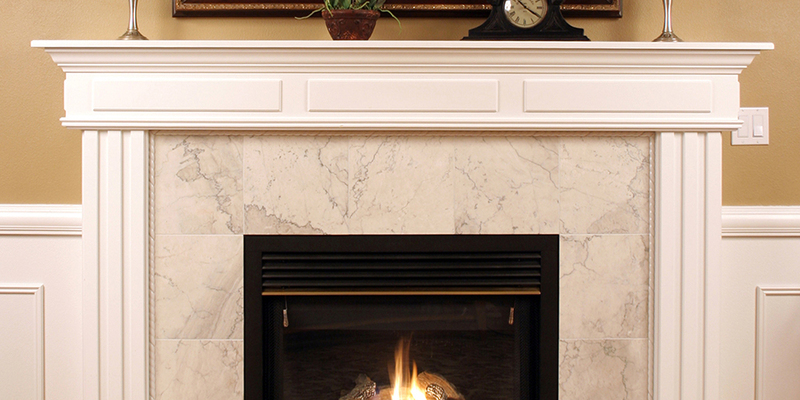 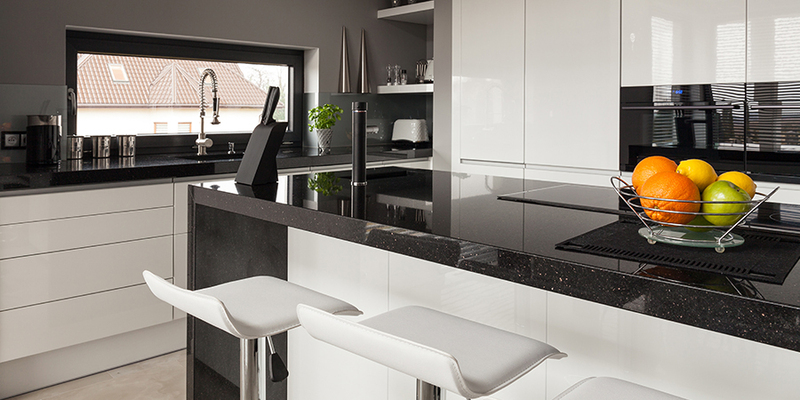 We are a small company that is passionate about stone surfaces. 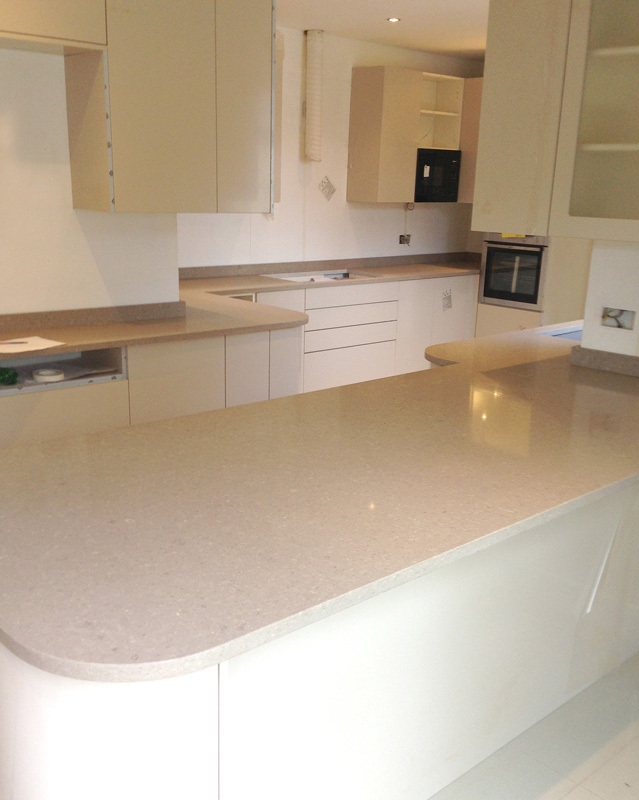 We produce high quality kitchen worktops, vanity tops, shower trays, fire places and other stone worktops. 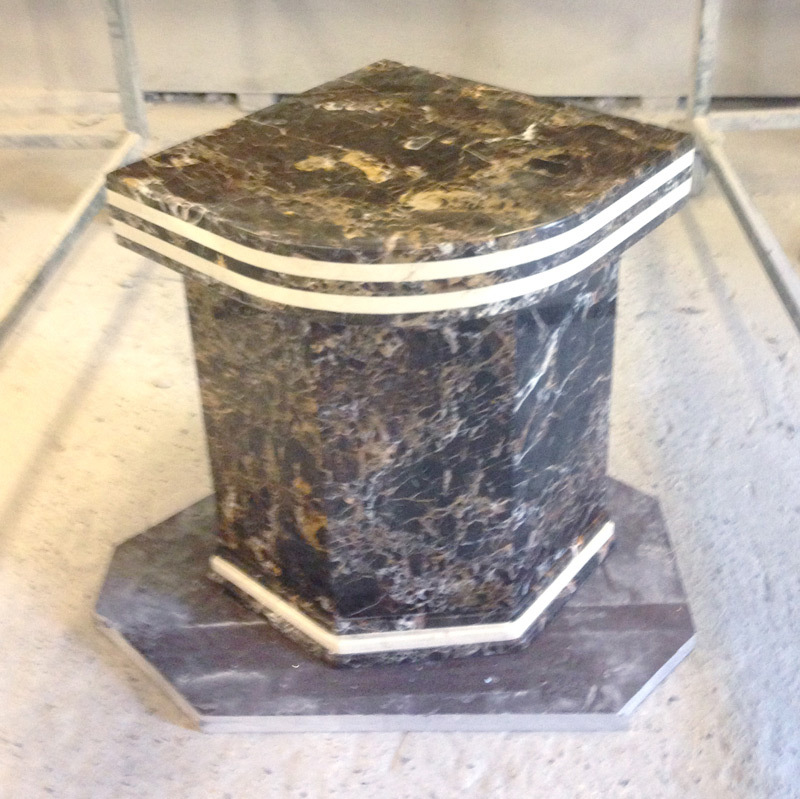 All preparation work including cutting to size and polishing is carried out at our workshop in Tottenham, London. 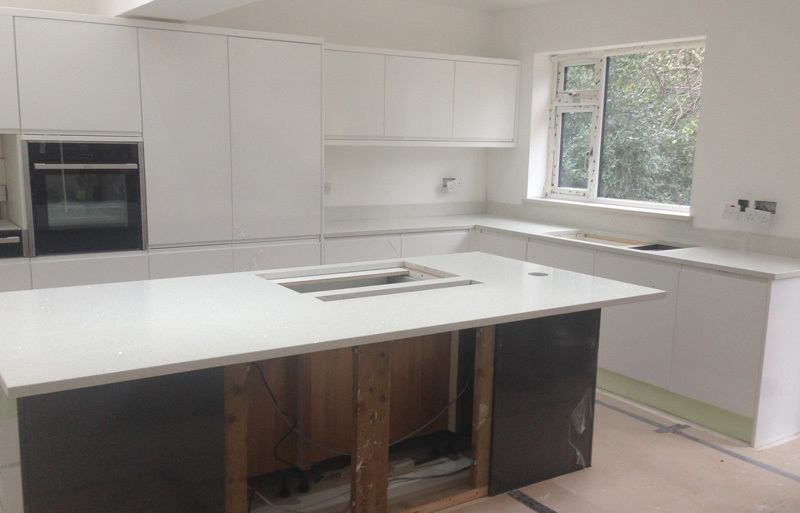 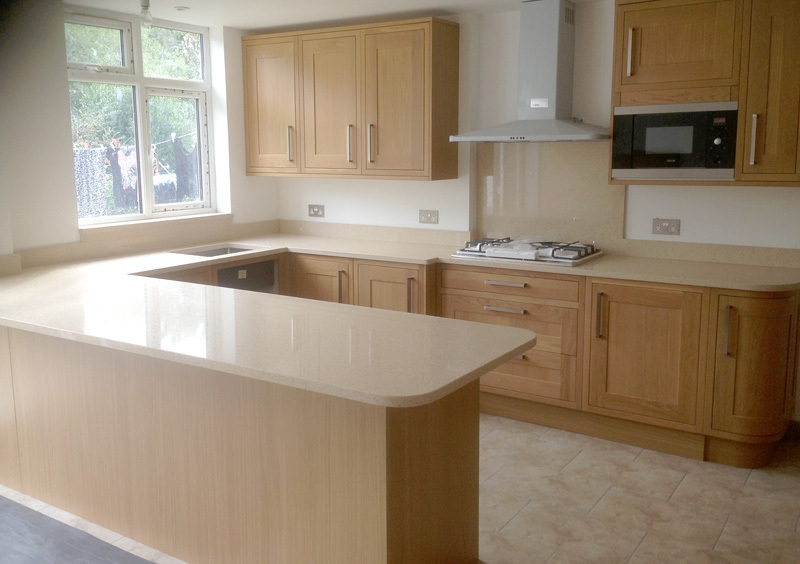 We work closely with Schmidt Kitchens Barnet and Kitchens Continental as well as directly with private individuals. 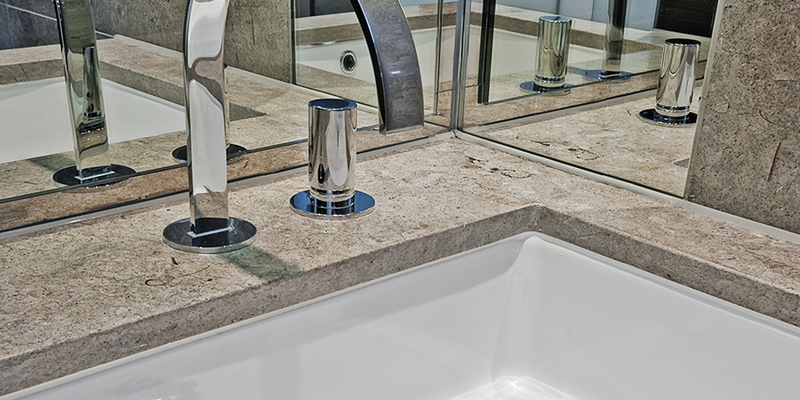 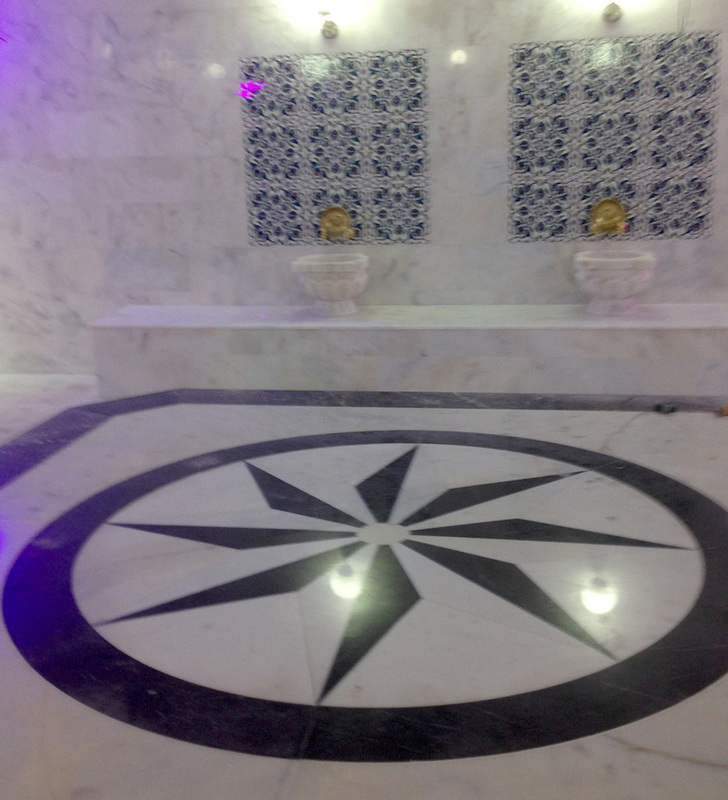 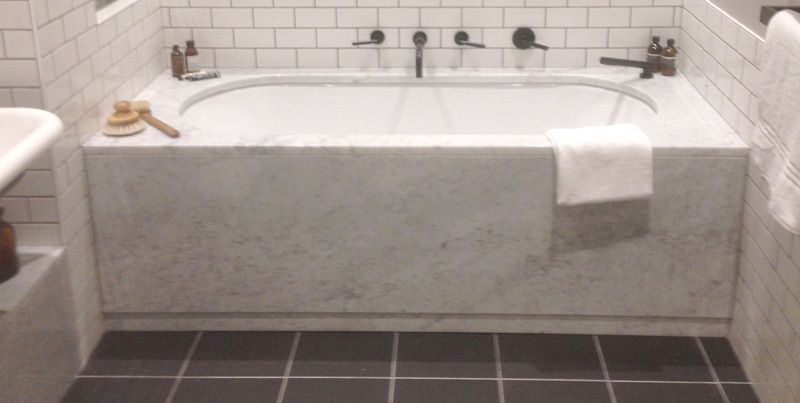 Granite and marble vanity tops, bathtubs, shower trays, one slab walls and flooring. 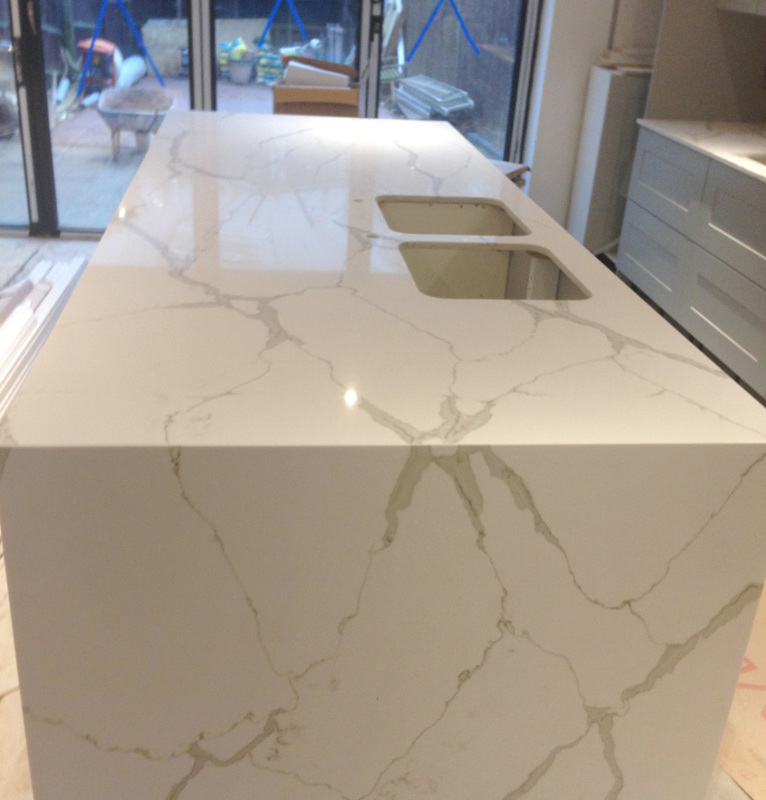 Cut to measure and fitting. 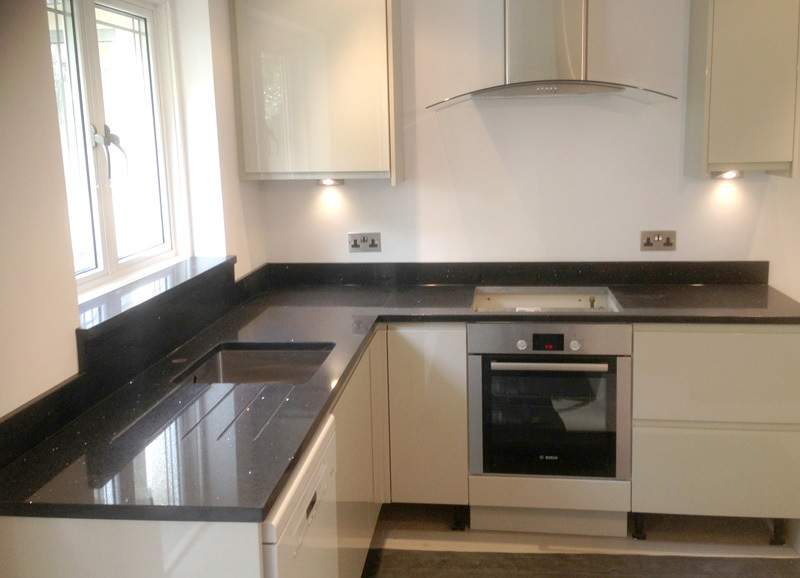 Alba Stone have the capacity and experience to cater for medium sized projects of up to 300 flats. 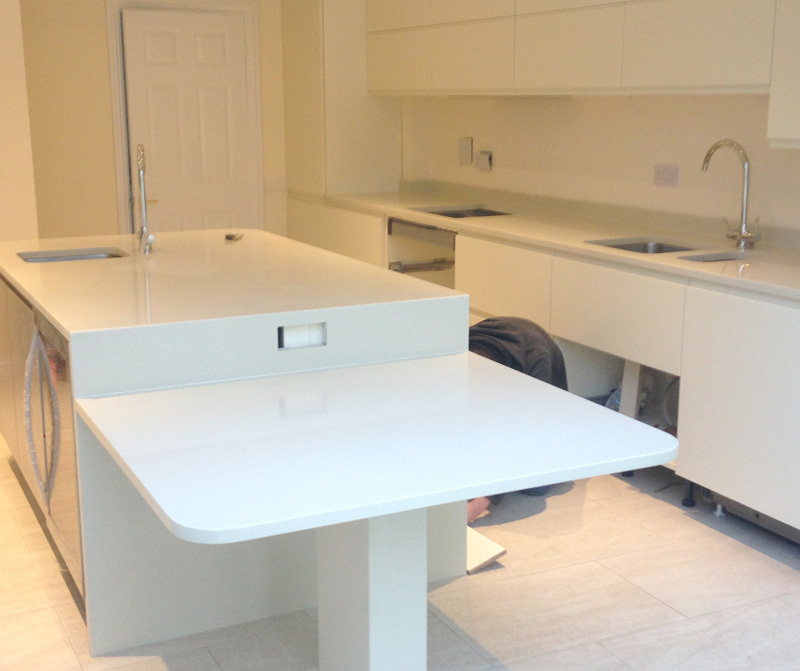 With our fast turn around time including template, supply and fitting, your surfaces can be completed in 5 working days. 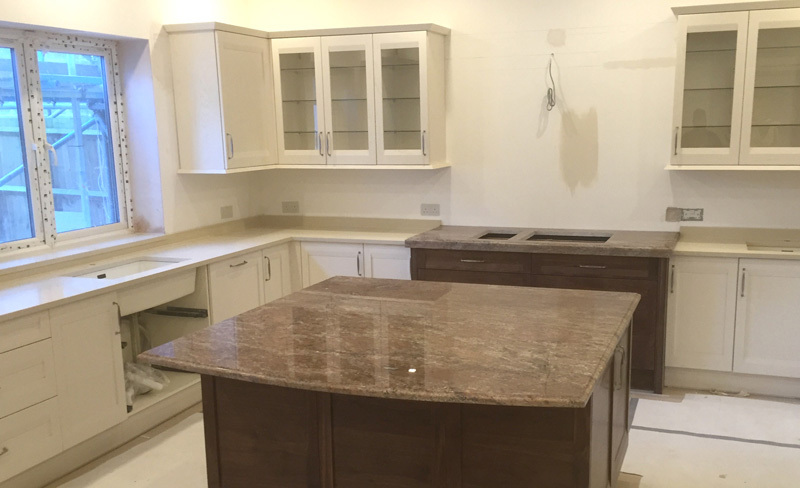 We work with many suppliers of high quality stone including Silestone, Cesar stone, Compac, Corella, Arena, Diresco and we are happy to have exclusive usage of Artemistone quartz engineered stone. 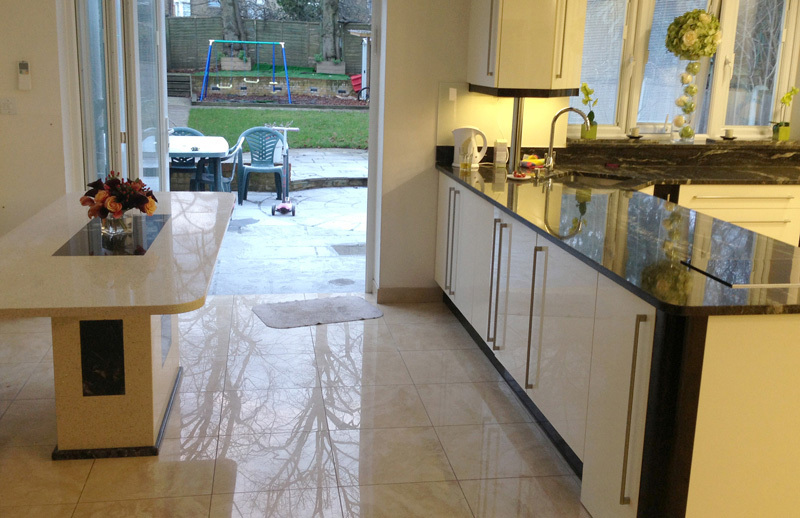 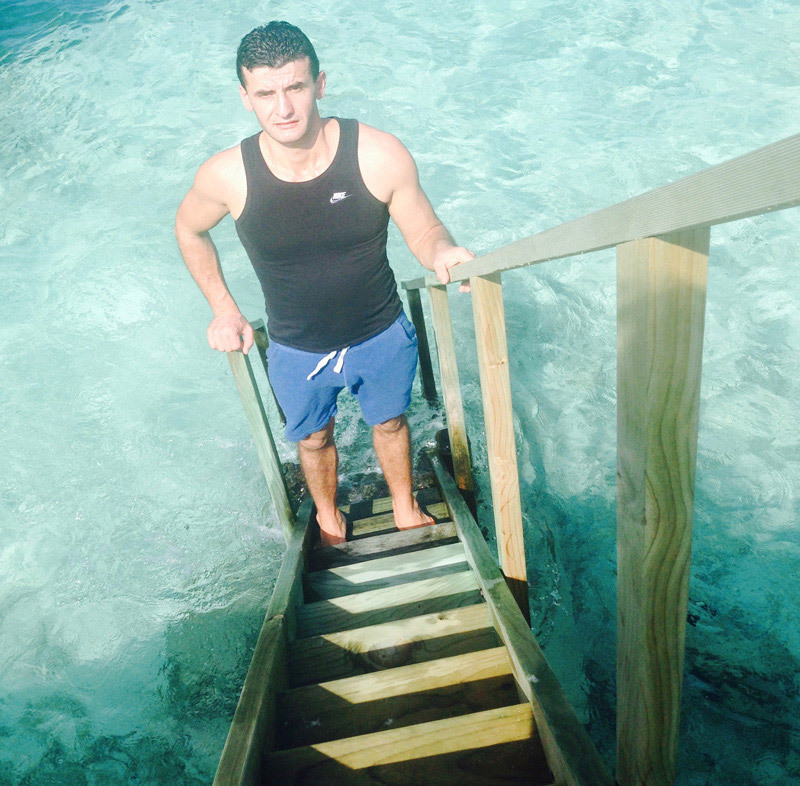 Please contact us if you would like to discuss a project or for a free quotation.